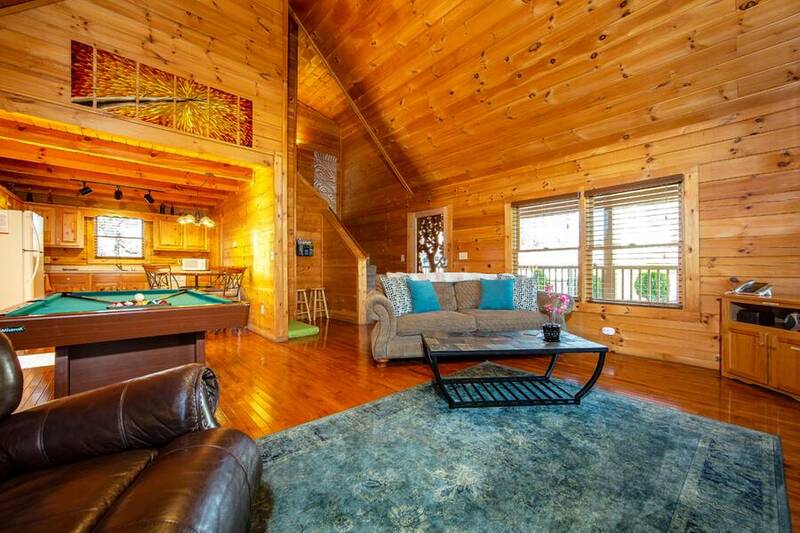 Welcome to the "Lazy River" log cabin located in the Smoky Mountains! At Lazy River, all sizes and breeds of dogs are welcome. Bring your beloved member of the family without worry of a weight or breed restriction. 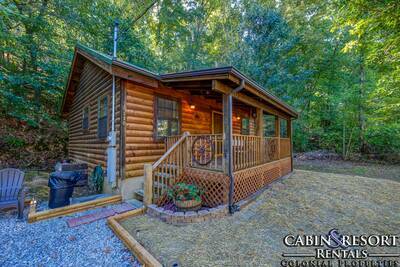 You'll love this 1 bedroom, 1.5 bath cabin rental with a convenient location to Dollywood, dining and entertainment. 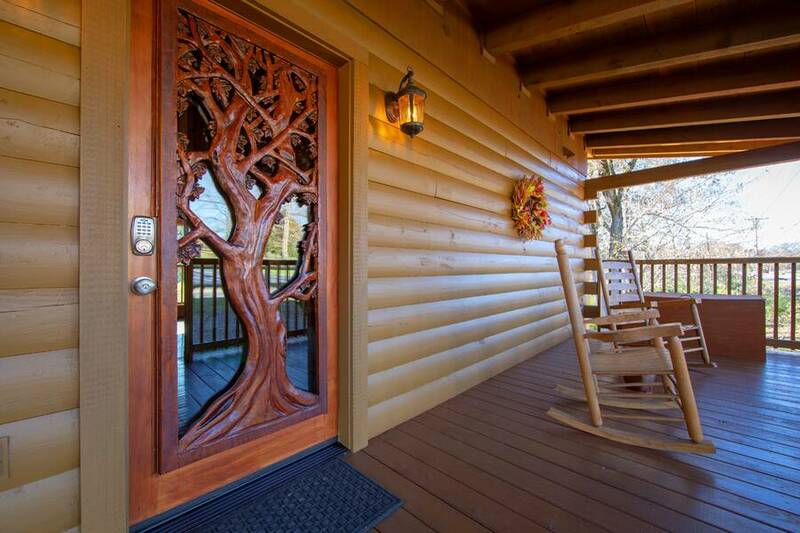 Arrive at this amazing cabin to be greeted by the unique carved tree door that opens into a beautiful living area with gleaming all natural wood interior. 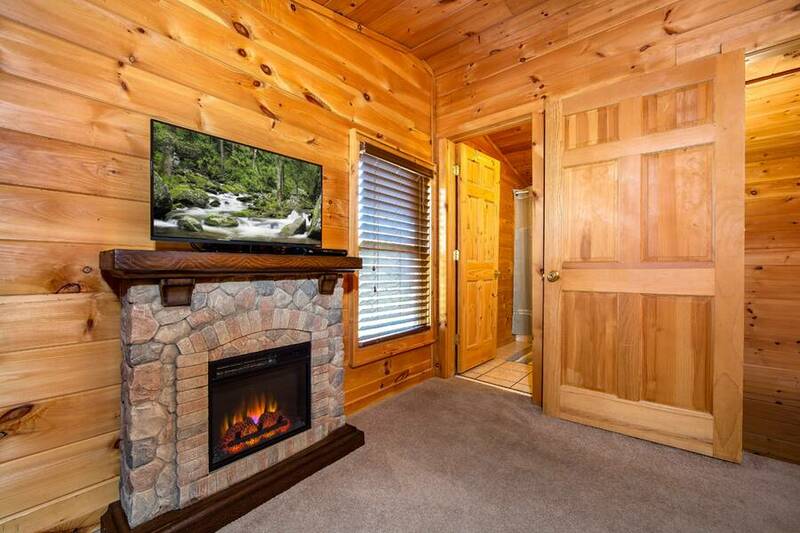 The relaxing living room features a comfy sofa and a leather recliner, a mountain stone accented gas fireplace, stunning cathedral ceiling overhead and a large flat screen TV to enjoy the DVD player for your movie nights. 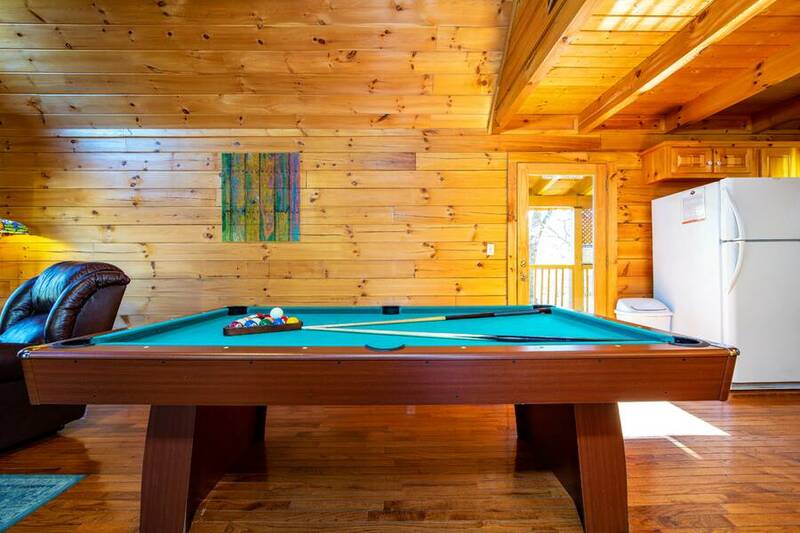 Located next to the living room is the pool table gaming area. Here you can challenge your guest to an exciting game or turn on the stereo to listen to your favorite tunes. 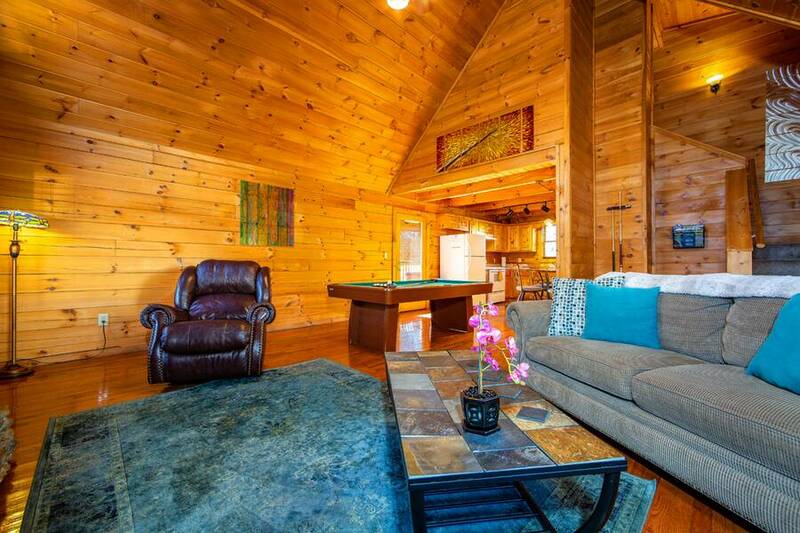 Lazy River also features a fully equipped kitchen that is perfect for preparing, cooking and serving your favorite meals while on vacation in the Smoky Mountains. There’s also a dining table that seats up to four people comfortably. 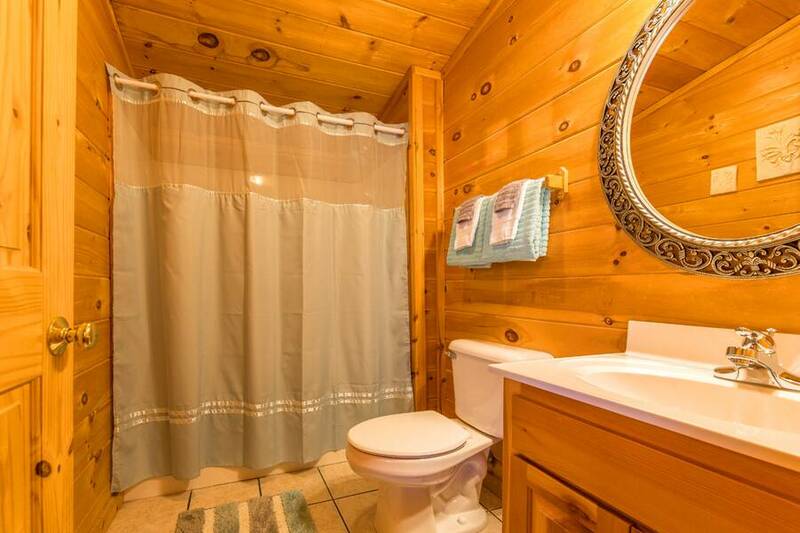 For added convenience and privacy, there’s also a half bath located on the main level. 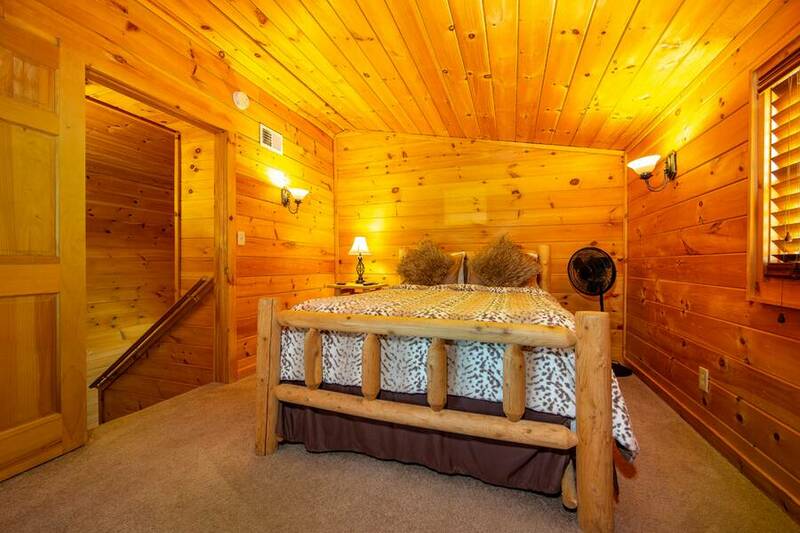 Venture upstairs at Lazy River and you’ll enter the beautiful master bedroom. 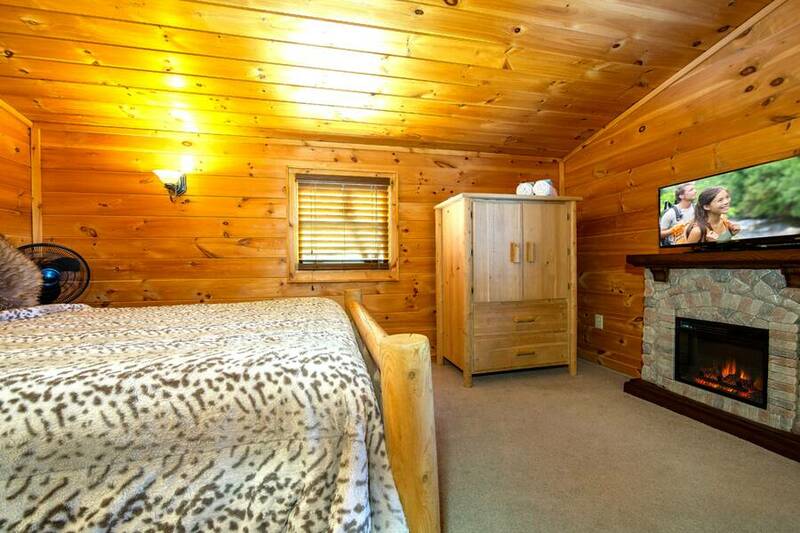 Here you’ll find a gorgeous queen log bed, soothing natural wood accents, flat screen TV, electric wall-mount fireplace and a full on suite bathroom. The outdoor space at Lazy River is one of a kind. 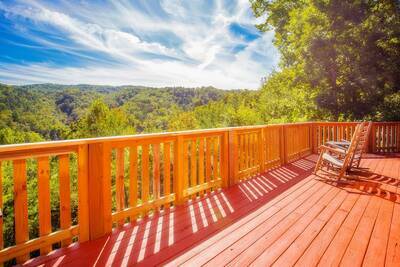 Rest in the wooden rocking chairs on the front porch, you're sure to enjoy a truly relaxing experience. 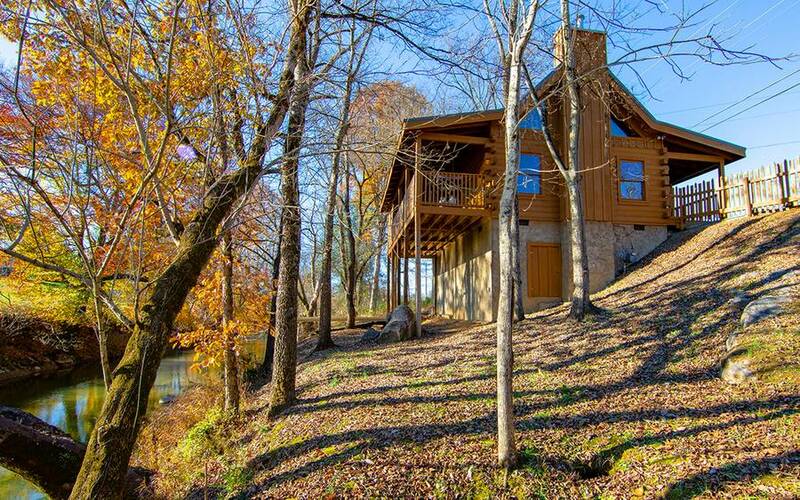 Sit on the porch that overlooks the river below, grab a seat in one of the rocking chairs or relax on the large memory foam swing bed to let all of your cares go. 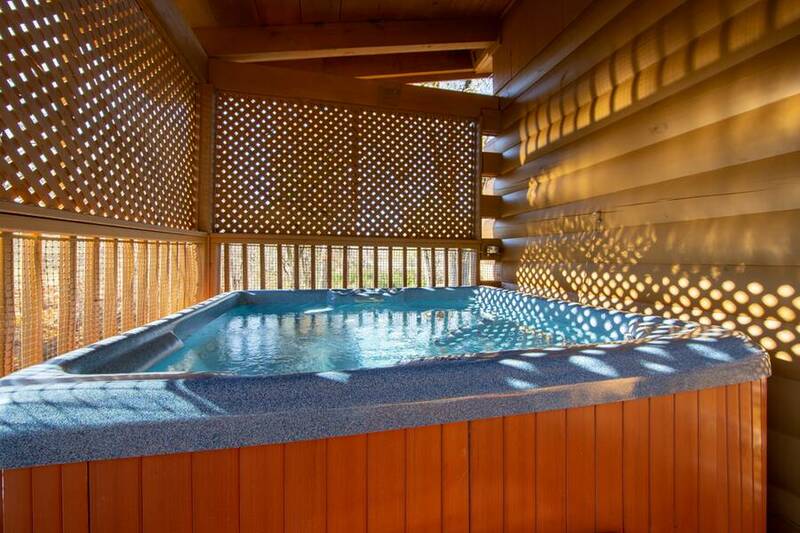 The new stainless gas grill is perfect for preparing your favorite meals while gazing at the Little Pigeon River just a few feet away, or you can take a dip in the soothing bubbling outdoor hot tub for the ultimate relaxation experience. Don’t forget to bring along your fishing skills because Lazy River offers you the use of fishing poles and a tackle box for casting a line in. 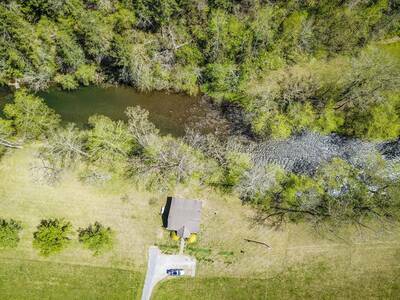 Maybe you'll get lucky and catch trout, bass, catfish, or blue gill that can be found in this river. For your convenience, Lazy River provides complimentary high speed internet access as well. 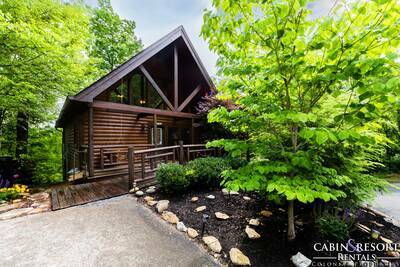 A wonderful Smoky Mountain vacation begins at Lazy River log cabin. 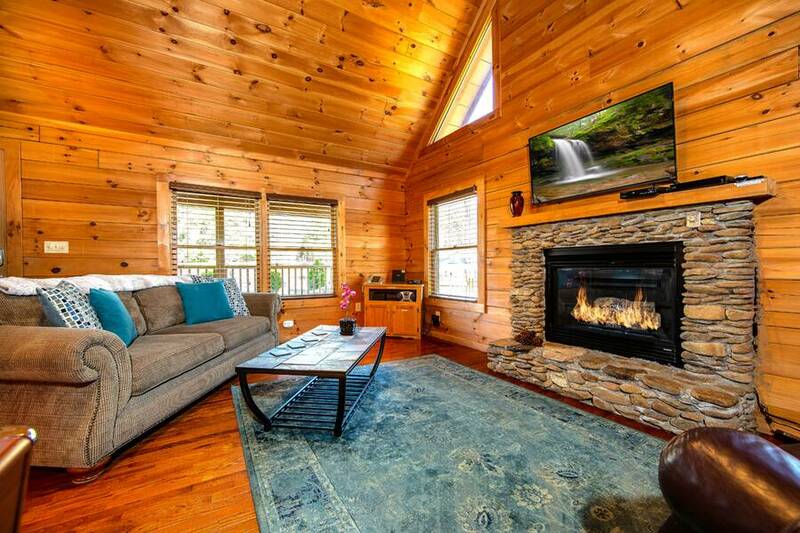 Boasting its waterfront setting, beautiful wood accents, plush furnishings and fantastic amenities, you’re sure to enjoy a great vacation while staying at this cabin getaway. 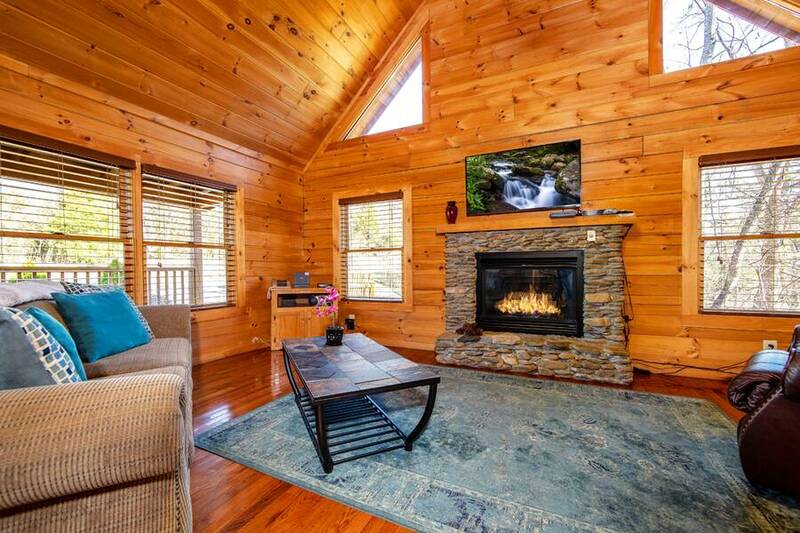 Conveniently located less than 15 minutes from Dollywood and under 30 minutes from Gatlinburg, this river-side cabin is a great place to be near fun and excitement, too! Reserve your stay today! A: The river is really calm there, I would recommend a place in the national park or Pittman Center area for kayaking. “ My husband,our fur baby,and myself enjoyed our stay at Lazy River. The cabin was beautiful. Everything was as posted. Only disappointment my husband and I had was location. Cabin is right on a very busy road. Staff was very friendly and very helpful. “ It was a great week and we are already making plans for next year!!! 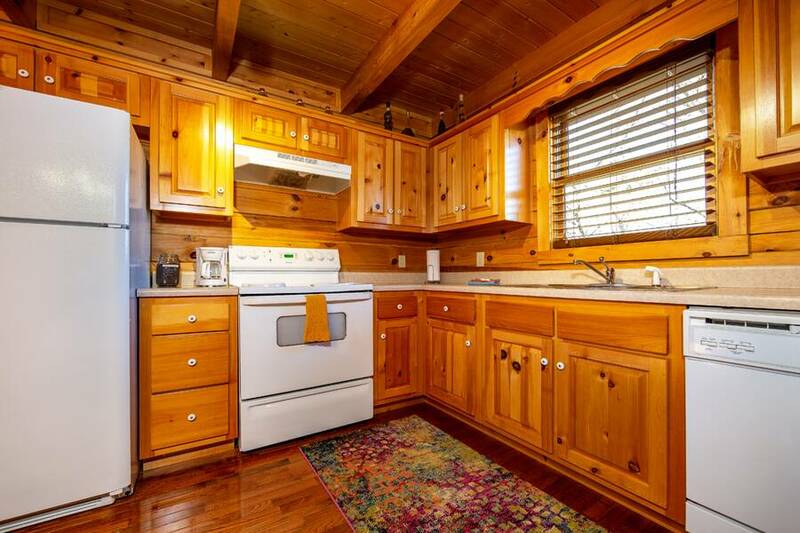 “ Cabin was clean and well equipped. 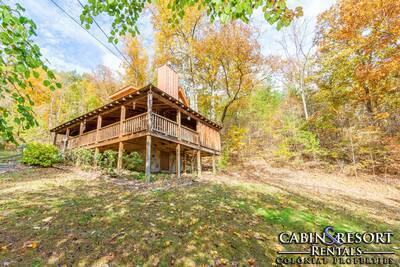 Convenient to activities yet secluded enough to enjoy the privacy of the mountains. 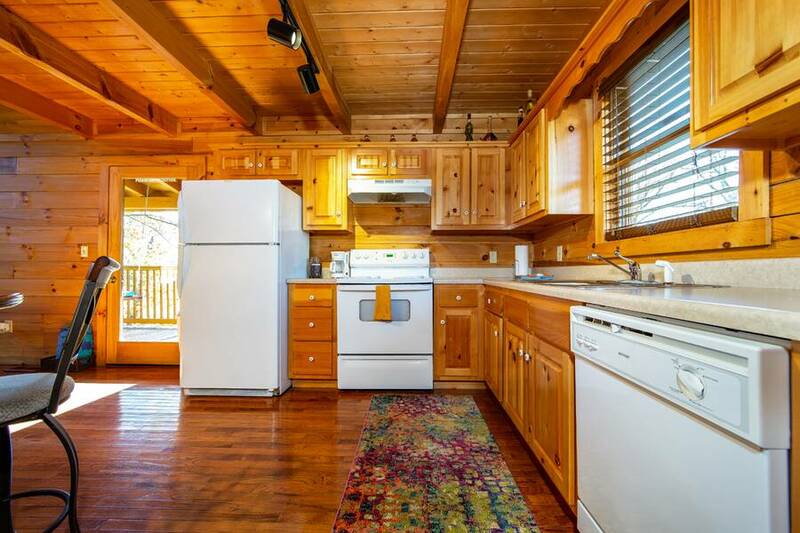 “ Great cabin, everything was as the pictures show. Would diffidently recommend Colonies Properties again. “ We were looking for a place to lay back and enjoy.This place worked well. Thank you for five nice days. “ Had a very nice stay. Ultra clean & sparkling. Wonderful site to bring our dog. Porch was great for lingering. 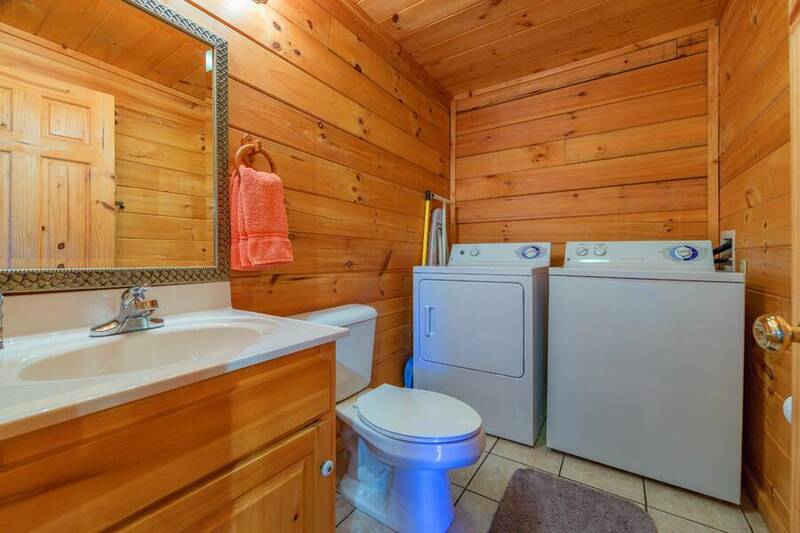 Washer/drier & pool table especially appreciated. Only downside is the fact that the cabin is off a roadway. We are leaving with happy memories. FYI, great open air barbecue place on 411 just before you turn for Lazy River. “ BEAUTIFUL AREA AND CABIN. EVERYTHING WAS WHAT WE HAD EXPECTED. THERE ARE hundreds of things to do nearby and a few good places to eat as well. “ We stayed at the Lazy River for our honeymoon and it was great! The Lazy River was a perfect cabin for us and we really liked that it was pet friendly! The cabin was so close to everything but secluded enough to where you weren't in the middle of everything. We thoroughly enjoyed our stay and definitely will use Colonial Properties in the future. 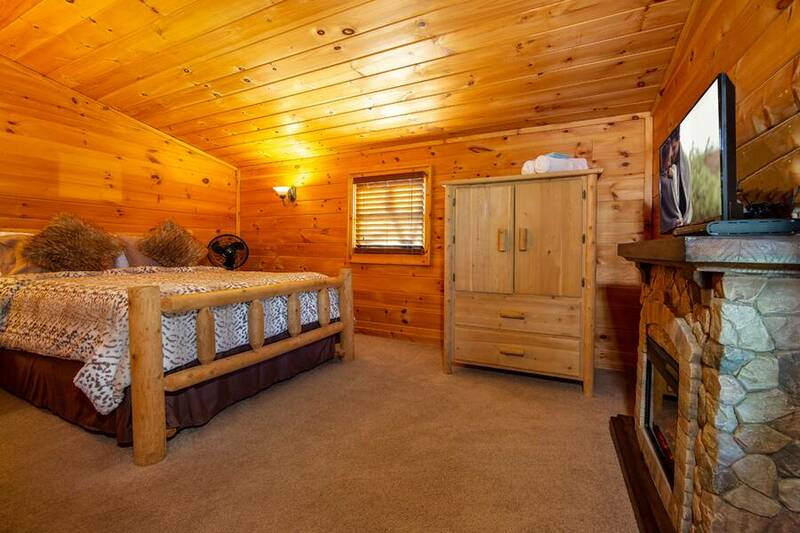 “ The cabin we rented was very clean and comfortable. When we would return from a busy day of white water rafting or zip lining it felt like we were coming home to rest up for another busy day of seeing Tennessee.